In 1993 I stumbled across a movie magazine and memorabilia store called “Back to the Past” right in my own neighborhood and was so thrilled when I entered to find all kinds of interesting items, new and old, and mostly representing films that were of the ‘fantastic’ nature. There were model kits, posters and other ‘pop culture collectables’ which they still advertise today, but what interested me the most was their back-issue collection of many treasured magazines, one in particular which I would be interested in being “Famous Monsters of Filmland”. Like myself, the owner was a fan of FM’s editor Forry Ackerman, and told me he had met the man himself a few years before and I listened in awe as he described this fortune of fate along with showing me some photos from his visit with Forry. I had enjoyed that periodical since I was a kid, like so many others, and it opened many doors to me, getting me interested in reading, filmmaking before and behind the camera, expanding my search in libraries for more information on movies and in particular those which pushed the boundaries of the imagination. It had been many years since those days. I’d moved onto other things in life, but that old interest never completely faded, and there I was in that fun store looking about and seeing before me an issue of Famous Monsters I had not recalled. At first I thought it must have been an old issue from the years I had stopped collecting, but it wasn’t in the back issue bin, it was on the stand for new magazines. I couldn’t believe it. It looked like the old FM, even smelled like it, but it was dated 1993, Issue #200. Yet when I opened it up and took a closer look something was different. It seemed as if Famous Monsters had ‘grown up’ and was addressing all of us kids who were now adults. Sure enough, it was Editor Ackerman back at the helm and I started thinking that maybe Forry was able to see his dream come true, and that this time around he could support perhaps a more serious look at the genre we all so cherished. In my mind, he certainly would have the audience. I also learned there had been a new FM convention that year and grieved a bit that I’d missed out on all of the fun. Imagine my delight when a second “Son of FM Con” was announced for May of 1995. One of my life’s ‘regrets’ if you will, was missing out on the original FM Conventions of 1974 & 1975 in New York City and now before me, there was going to be another one right in the heart of it all, Horrorwood, Karloffornia, and you better believe it, I wasn’t going to miss it. The sadness of this story is that soon afterwards everything would change again. Forry would be forced to leave his own magazine to preserve his dignity, and although it would take some time for me to be completely convinced something was wrong with the ‘new’ Famous Monsters, I did get my confirmation in an email from Forry himself, when I asked him if he was still associated with FM, and he responded that he was not, that he’d prefer if I did not patronize it as it was now, but that of course, would be my choice. I was broken hearted. How could this happen? 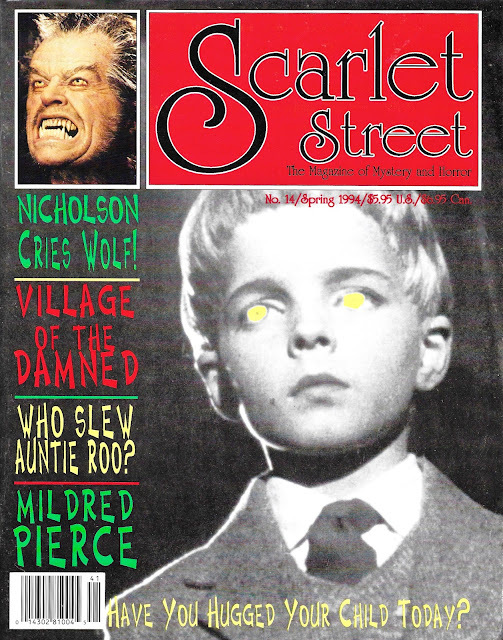 Nonetheless, as providence would have it, I had already been seeking out other great periodicals such as Filmfax & Cult Movies, and one day a different kind of magazine caught my eye called Scarlet Street. It turned out Forry had found companionship and support from some of these other magazines including Cult Movies and Scarlet Street and we could now keep in touch with him through those venues. Scarlet Street, in my mind however, became that ‘replacement’ I was looking for. Once more it seemed a bit what Famous Monsters could have been again. Yet, for certain, this magazine had a very unique heart and soul of its own. While there would be without doubt so many different personalities involved in the success of Scarlet Street, it has always been my feeling that the glue which held it all together was editor-in-chief & eventual publisher, Richard Valley. In the end Scarlet Street was Richard. For me, I think it was the first time since FM where my interest would be held even if the subject matter wasn’t something I particularly was fond of. That was the beauty of that magazine, it really held its own with me. I learned a lot and was broadened, unlike so many other magazines where I’d pick and choose what I wanted to read. Scarlet Street was a complete entity and I would find myself truly enjoying it from cover to cover. As mentioned before, I came along well after SS had established itself, my first issue being #23. Afterwards I stayed on with them through the rest of the 1990s, not wasting any time in joining them online when they started a ‘chat room/message board’, first just peeking in on what was being said and eventually finding the courage to go online, as myself with no fake name, July 4, 2000. I found myself visiting the site daily. This was where it was ‘at’ online! It was also a place where we could keep in direct touch with Forry Ackerman as he frequently communicated with fans here in his new extended-family cyber-home. Then, in 2004, just when I would have thought I’d never ‘top’ the FM con I had attended in 1995, or any other number of conventions, in particular the Monster Bash (Pennsylvania) in 1997 along with the world re-premiere of the 1925 “Lost World” in Rochester, NY at George Eastman House, along came the opportunity to come back home to Horrorwood and visit Forry for his 88th birthday bash! I could not pass it up and when I arrived I was very humbled in my appreciation for not only the fact that Forry paid for my dinner that evening, but that Richard Valley and others, like Al Paige, the late Bill Chancellor & Tom Amorosi, were actually interested in meeting me in person as I must have made some kind of impression on-line, and I’d hoped it was a good one. I also got to meet ‘again’ Pam Keesey, whom I had shared a table with Forry at the awards ceremony at FM Con 1995. This led to such a warm visit, being invited back to Forry’s home by Ron Chaney for some unwrapping of birthday gifts, then eventually being allowed to stay a few days through Joe Moe and able to just sit with Forry in his living room chatting about Fritz Lang, Vincent Price and so many others from the genre we all loved so much, and loved so much that I had to repeat the experience a year later for Forry’s 89th. There is so much more to say about all of that adventure, so I did back on my other blog mentioned above. The point of this is to express how very much of why I know I’m still here today, and that is because of these guys. And at the heart of it all was Richard Valley because I know had he not been open and kind and friendly to me in the first place, I would never have been able to enjoy the fruits of this adventure like I did. So I want to dedicate this site to Richard. Not too long after our second fantastic visit together again at Forry’s home in 2005, he became ill and we eventually lost him in 2007. Nothing was ever the same again. 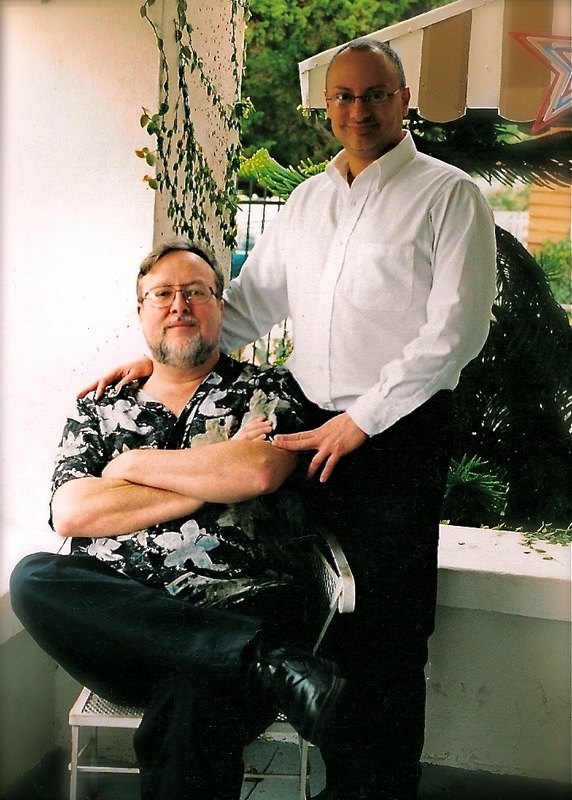 In the years that followed, we’ve continued to lose so many more wonderful souls and as for me, my support system all but vanished, except for one amazing phenomena and that has to do with gentlemen like Richard Valley and Forry Ackerman. Because of these guys, I have the friends I do today and therefore the hope survives as well. Recently, I got the idea I’d like to go back once more to that time and not just relive it but make new memories. 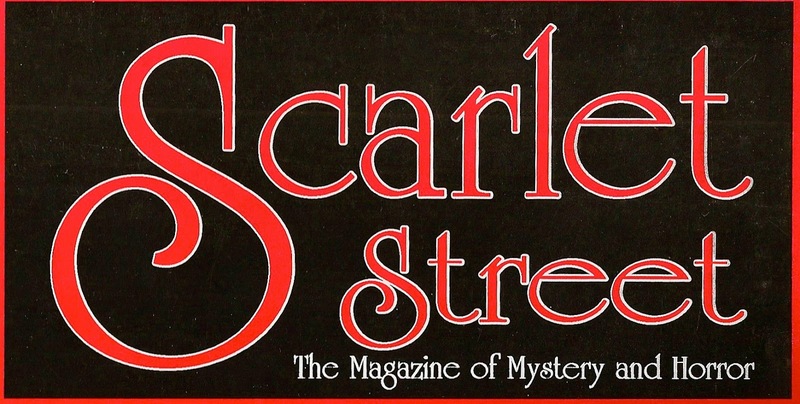 To accomplish this I’ve purchased copies of all of the Scarlet Street magazines that I had missed that were issued before #23 and it has proved simply wonderful. For a short time, we’re all back together again. The feeling that I had when I read Scarlet Street in the 1990s is still there, it still survives. I want it to survive, and so that is why I have created this blog so there will always be a place in digital-land for Richard Valley and the family he created. Not to mention, I do absolutely believe this magazine series to be a great historical artifact that captures not only the 1990's view of the fantastic, but also it is a chronicle of so many people from the golden age that were still alive at that time and interviewed then, who have now too passed on to that next dimension. So let my blog live on, and let it be a place where we can remember a kind soul, to whom I dedicate his work, the heartbeat of Scarlet Street: Richard Valley. Much Love to you, Richard, Tom, and the Gang down on the Street!